Combine the quinoa and water in a medium sized pot. Let boil until all the water is absorbed, 15 to 20 minutes. 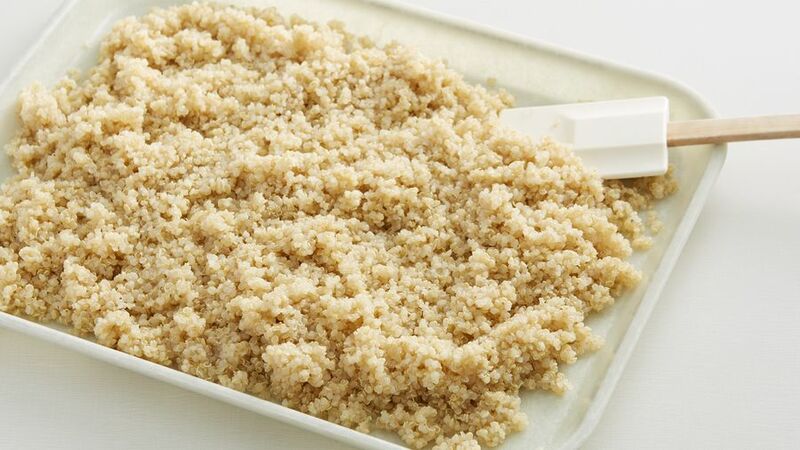 Transfer the cooked quinoa into a baking tray and spread evenly, this will help it cool quickly. 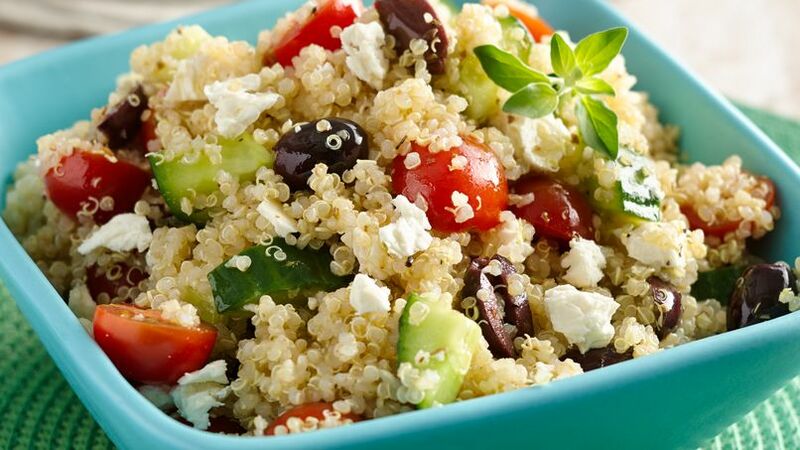 Once the quinoa is cool, place in a medium bowl and add the tomatoes, cucumbers, olives and feta cheese. Mix softly. 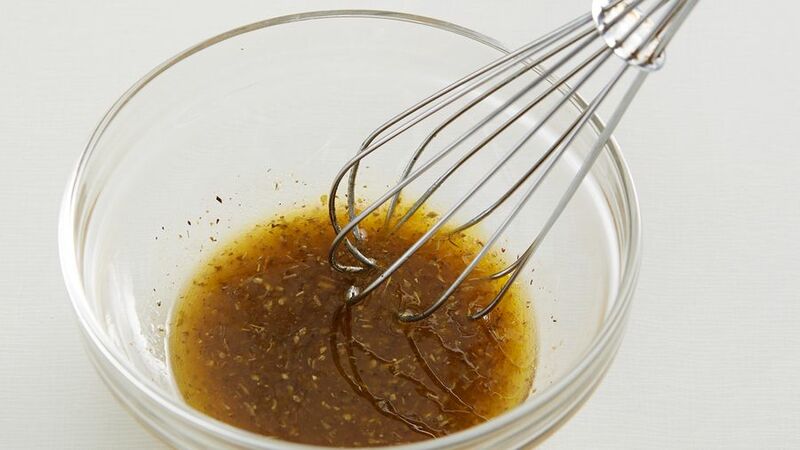 For a dressing, mix olive oil, red vinegar, oregano, salt and pepper. Serve over the salad and mix evenly. Like any good Peruvian, I grew up enjoying quinoa, so I'm very happy that now I can find it anywhere I go in California. I always try to add this nutritious ingredient to my families diet. 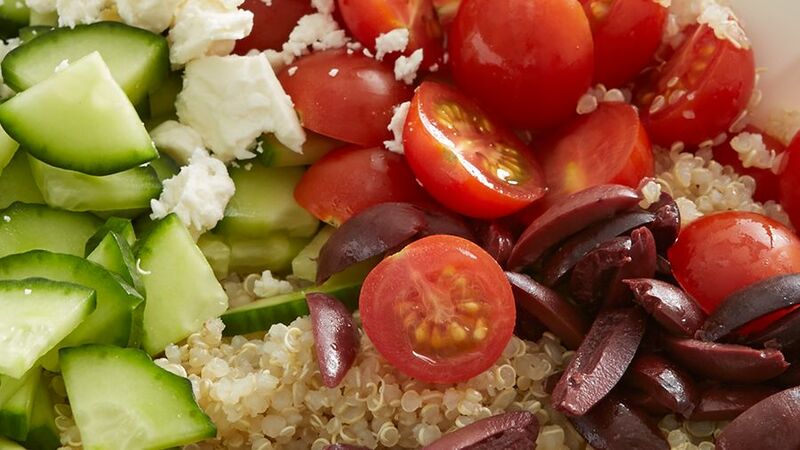 For example, this quinoa salad with tomatoes, cucumbers and feta cheese is one that I like to prepare for my sons summer camp lunchbox. It's very easy to prepare and is simply delicious.